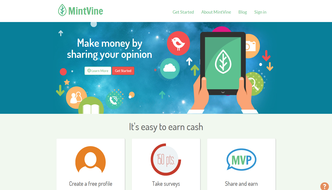 At the brand new Mintvine (Branded Surveys) panel you can earn cash via Paypal or Dwolla for taking surveys, completing polls and offers through their website. They send numerous surveys everyday so your cash can add up pretty quick. As well as standard online surveys they also pay cash to you through their exclusive MintRoll surveys. For each activity that you complete through the site you will get points added to your account. 1000 points is the equivalent of $10. (£6) You will receive a bonus $2 (£1.20) for registering a new account today and up to as much as $5 (£3) for filling out the initial profilers in full. Fast payment via Paypal or Dwolla: Once you have earned just $10 in your account you can cash out via Paypal or Dwolla. Payments are processed and paid to you within just 48 hours. (If you request a payment on the weekend it will not be processed till Monday) You can also request that your money is sent to a Dwolla account where the fees are slightly lower. Excellent Referral Program: By clicking on the MVP tab in your account panel you can obtain your unique identity link which can be used to share with your friends and family. When your friend completes their first online survey you will be rewarded with a 50 point bonus. After this you will also earn a massive 15% on all the offers and paid surveys they complete whilst they are a member! The Mintvine Surveys Panel is based in the USA as with many other market research companies. This should not put you off as they send out more paid surveys than many of the other sites put together. On average you should easily be receiving as many as 5 per week with the average payment for each one being around 150 points ($1.50 each) By referring a couple of friends and completing all the offers and questionnaires they send you it’s quite easy to be earning the minimum payout amount every couple of weeks if not much more regularly. To get started simply fill in the short registration form and confirm your email address. Once you have logged into your account you can complete the profile information. For each profiler that you complete you will receive some bonus points. For completing all the profilers you can instantly earn up to as much as 500 points. ($5) This is a great amount to get you started as you only require 1000 points ($10) to cash out. Their exclusive MintRoll surveys are based on your behaviour as well as your opinions. The data that is collected is used to help companies and organisations understand Internet trends and influence major marketing decisions. 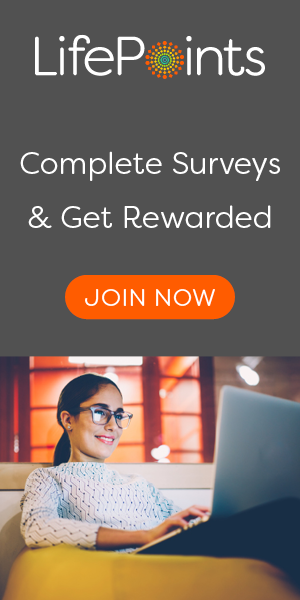 On top of the standard questionnaires each week you will receive 3 MintRoll surveys which will reward you with $2 (£1.20) each. Each one will take on average just 7 minutes to complete. Eligibility: Must be a teenager aged 13+ to join. Anyone under 18 requires parental permission.